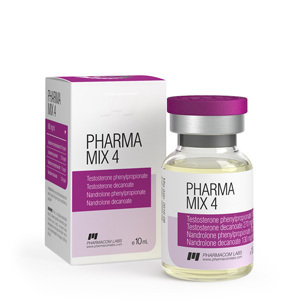 Pharma Mix 4 Pharmacom – the most powerful mix of fast and long esters of nandrolone (deck) and testosterone. Pharmamix-4 is the mix that will suit an experienced athlete who wants to get to know the deck without its inherent side effects. As it is known, a deck cannot be set up without a test, this explains this combination of drugs. Yes, if you are an experienced athlete, then the ratio of 1 to 1 may not be suitable for you, but if you only plan to try out the deck and at the same time both ethers, then this mix will definitely not disappoint you. Thanks to the fast airs, the drug is included in the work from the first day of the course, and thanks to the long airs, it continues its work throughout the week. You can significantly add to the quality of muscle mass in the shortest possible time. It has a pronounced positive effect on the health of the joints and ligaments. Optimally, PharmaMix-4 should last about 8 weeks. The last injection should be done at least 2 weeks before the end of the course, so that immediately after it you can start post-course therapy with anti-estrogens (CLOMIFENE ONLY! NO TAMOXIFEN IN ANY CASE!). 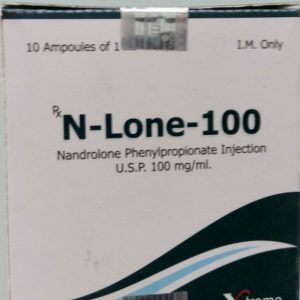 How to take PharmaMix 4 Since nandrolone is a progestin, you should strictly control the level of prolactin on the course. 7 days after the start of the PharmaMix 4 course, take an analysis of its concentration in the blood, if the level is elevated, immediately begin taking cabergoline (trade name – “Bergolak, Dostinex”, buy at the pharmacy). A week later, pass the analysis again. 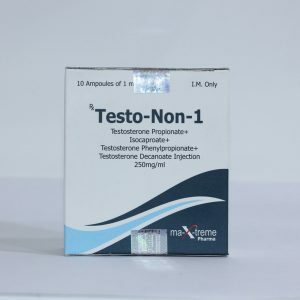 Together with the level of prolactin should be tested for estradiol, in case of its increase above the reference values, start taking an aromatase inhibitor (anastrozole, letrozole). Pharma Mix 4 should be taken at a dosage of 1-2 ml / week. 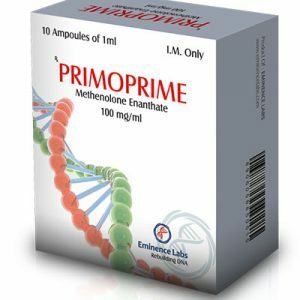 In 1 ml of prepata is 600 mg of active ingredient, so 2 ml is already the dosage for experienced athletes.